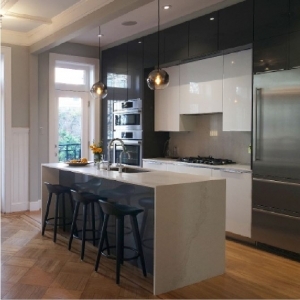 “Elisabeth Martin has proved to be the perfect architect for my brownstone renovation! I hired her after interviewing half dozen others who also had extensive brownstone experience. She had the right combination of creative vision and practicality and I liked her straightforward, high-energy personality right away. She spent the time to “window shop” with me to get a bead on my tastes and preferences and then artfully guided my choices and always offered alternatives. I didn’t need to add an interior designer to the project since Elisabeth fulfilled that role well. 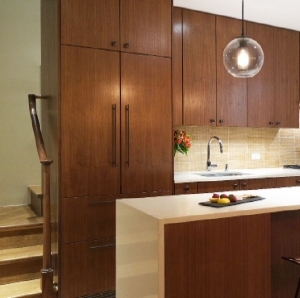 MDA designgroup is a small firm and as its principal, Elisabeth takes the lead in every project with a team of smart, resourceful staff to assist her. My renovation of an UWS turn-of-the-century brownstone (ground floor/parlor floor duplex) was a major project: replacing a worn out greenhouse with a rear addition on the ground floor and new deck above it on the second floor, reversing the interior stairwell, converting windows into French doors to balconies, redesigning the kitchen and two bathrooms, and converting a second kitchen to a LR bar and utility room. One complicating factor is the team had to work around me as I lived in various parts of the apartment while work was being done in other sections. As in most complicated renovations, there were some timing delays and cost overages, but Elisabeth was very vigilant examining each extra expense and suggesting cost-saving alternatives. 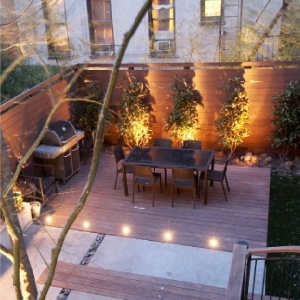 “I was introduced to Elisabeth Martin of MDA designgroup when discussing renovating our Manhattan duplex. I interviewed a number of architects but the decision to go with Elisabeth was easy. We got along from the first moment we met. She took the time to really listen to what we were trying to accomplish with the renovation, what we needed functionality wise from our space and what we wanted aesthetically. She then jumped in immediately with wonderful ideas of her own. I was so impressed with her enthusiasm and natural ability to take a space in and see how to make it the best it could be. We worked together to develop a detailed and well-designed substantial master plan for the project. This involved a repositioned newly designed stair, a new kitchen, 3 full bathrooms, ample storage, structural elements, new lighting throughout, new finishes, a new HVAC system, an AV system and redesigning our entire backyard. Elisabeth and her MDA designgroup team were always patient with my many questions and concerns. They would work in items I’d request seamlessly and were happy to present me with design elements to select from and provide additional options based on my feedback. 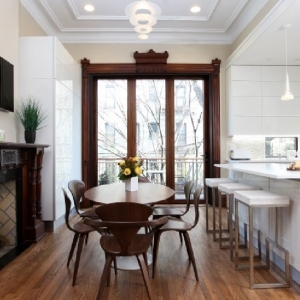 As a first time renovator and a family new to Manhattan, we relied on Elisabeth’s ample connections in the area. She connected us with many very talented and pleasant craftsmen and tradesmen throughout the project and managed their work – from our main contractor to engineers to a stone expert to an AV specialist to an expeditor. Elisabeth and everyone at MDA designgroup kept the project on track and tirelessly handled any issues that arose. Elisabeth was an advocate for us with everyone involved in the project, including our condo board. 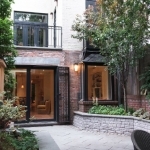 “I am currently working with MDA designgroup, Elisabeth Martin and Marsha-Ann Cadougan, on the renovation of a family limestone in Brooklyn. The house is a single family home and had not had any major renovations in many decades. 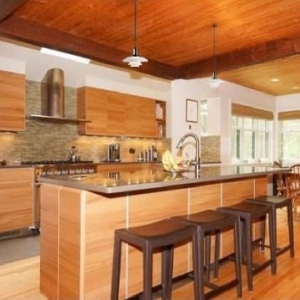 The kitchen and bathrooms were dated and the home was quite dark. Embarking upon this renovation project was daunting and I was unsure if I would be able to make the house my ‘home’. Happily–and still with fingers crossed–I am on schedule to being two months away from having a home that is refreshingly modern, yet still encapsulates much of what make the homes in this area historic gems. With respect to design, MDA spent hours working with me to capture those key elements that would personalize my home. They proposed multiple layouts of rooms and thoroughly addressed all pros and cons. At times we have had slight differences in opinion–for example, whether it was best for me to keep the window seats in my bedroom–and each time I have been more than pleased with the result. (I am happy to have kept the window seats at Elisabeth’s suggestion). 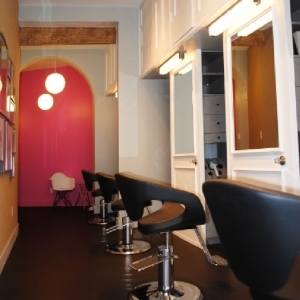 “I hired MDA designgroup for the architectural design for my hair salon expansion. Although I was happy with the look of my original salon space, I decided to go with a different architect because I found the original designer difficult to work with. From our first meeting, Elisabeth Martin immediately put me at ease. It is obvious when you meet with her that she is someone who is extremely knowledgeable, but who also listens to the client. She is someone who understands the issues at hand and what needs to be done to get you where you need to go. I never felt like my project was too small for her attention In fact, I was always treated as though I was their top priority. After meeting with the contractor to discuss specifics and one more meeting with her team, her office was able to provide completed drawings very quickly. The drawings took the best ideas from the original design but improved on the layout and lighting and mechanical conditions that were imperfect in the first iteration. The contractor was able to start as soon as I signed the lease and no time was wasted. Her team was readily available for walk throughs. Because of her highly attenuated attention to detail she caught something resulting from a miscommunication between the me and the contractor in the very early stage of being built that we were able to fix with no impact on the completion schedule. 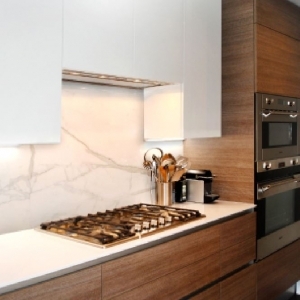 The finished space, which doubles the original square footage and is connected by an opening, is as comfortably functional as it is beautiful. We chose many similar finishes to the original design and most people say that it looks as though it was always there, rather than having an add-on feel.